"Weird Al" Yankovic will perform at the Fox Theater on May 27. 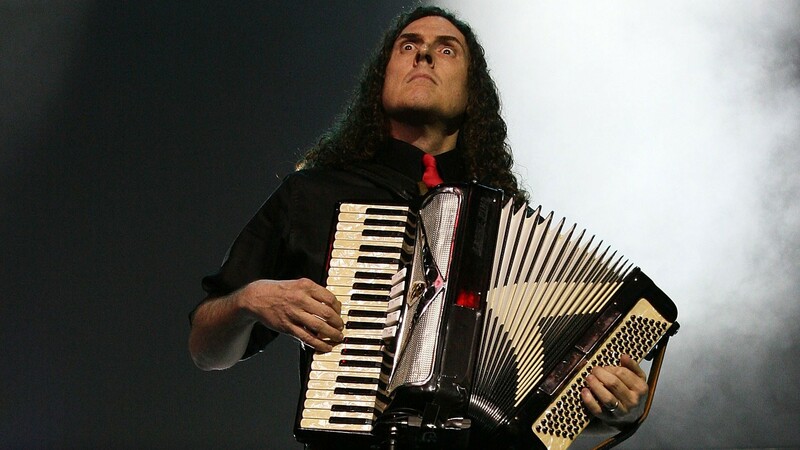 Parody artist and accordionist extraordinaire "Weird Al" Yankovic is hitting the road next year, and his tour will bring him to the Fox Theater on May 27. Yankovic last performed in the Inland Northwest in 2015; cult comedian Emo Philips is slated to open for him. Billed as "The Ridiculously Self-Indulgent, Ill-Advised Vanity Tour," these upcoming shows will apparently be more intimate and scaled-down than Yankovic's typical shows — basically, don't expect him to bust out the latex suit from the "Fat" video. Interestingly, the set lists will apparently focus mostly on Yankovic's original compositions, which are often hilarious in their own right (check out "Midnight Star," "Albuquerque" or his Devo pastiche "Dare to Be Stupid," if you haven't already). In the pantheon of parody musicians, Yankovic certainly reigns supreme. First gaining prominence through L.A. radio personality Dr. Demento, Yankovic became an unexpected superstar in the early years of MTV, with the videos for "Like a Surgeon" and "Eat It" in heavy rotation. He's maintained his presence in the cultural zeitgeist since the '80s, parodying everyone from Coolio to Nirvana to Lady Gaga; his most recent album, 2014's Mandatory Fun, was his first to hit No. 1 on the Billboard charts. Tickets for the Spokane show go on sale next Friday, Oct. 20 at noon, through the Fox's box office and all TicketsWest outlets.